If you happen to be in the mood for a VINYL RIP of a classic and rare JUNGLE tune, then you’re in luck. 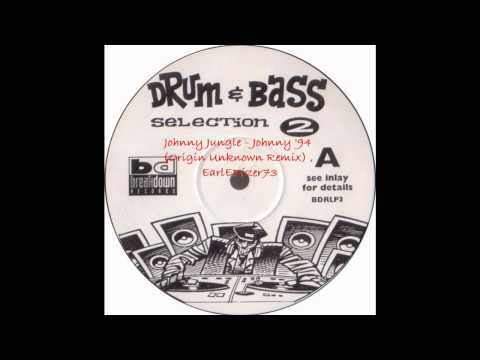 It was 1992 that JOHNNY JUNGLE (better known for his work as PASCAL) released a prolific tune in the history of DRUM N BASS. JOHNNY was a massive hit, and it might be responsible for the shift in Jungle music, towards darker and harder sounds. 2 years later (’94), ORIGIN UNKNOWN (aka ANDY C) released his REMIX, which took Johhny to even heavier extremes, with brooding drones, erratic AMEN BREAKS, and deep punchy basslines. While this track has been repressed several times, it still remains a difficult one to find. I think this is the kind of song that needs to be on vinyl, but for those of you that just aren’t ever gonna go that way, here it is in digital form for your convenience. If you’re interested in knowing more about one of the key figures in the evolution of Drum N Bass, I urge you to read about ANDY C on WIKIPEDIA. You should also check out more music by ORIGIN UNKNOWN HERE.